Ride him up nearly 19 stories to face the first terrifying drop of 176 feet. 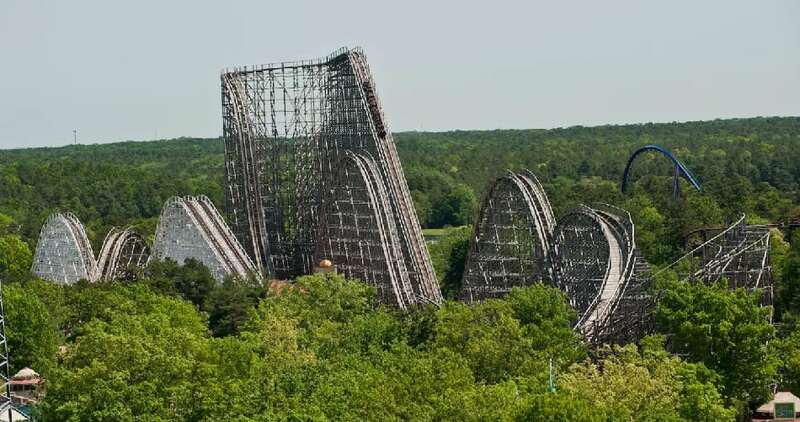 At a 76 degree angle, that would be the steepest drop of any wooden-style roller coaster in the country. You will zoom through the course at a speedy 70 miles per hour, over a series of insane hills designed for maximum airtime. El Toro was voted the #1 Wooden Coaster in the World in an Internet Coaster Poll.